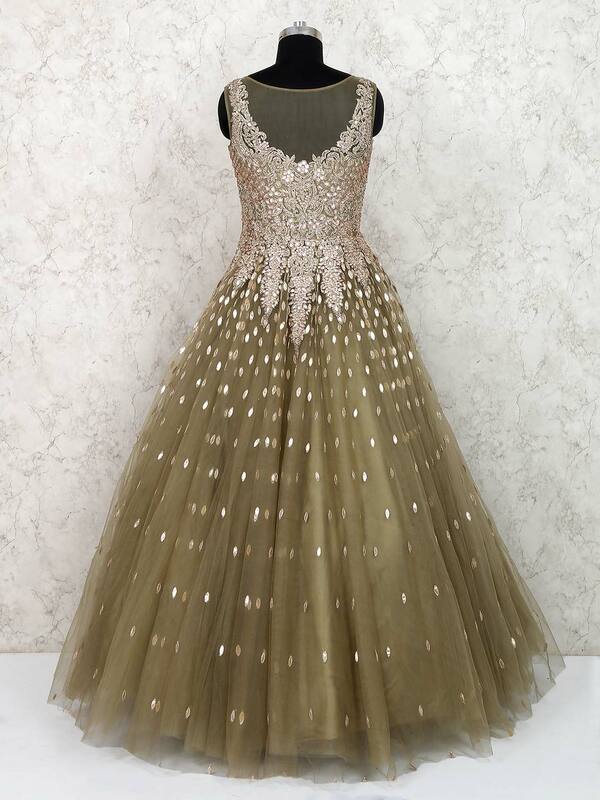 Stand out in the crown by adorning this olive green pretty gown in net fabric. 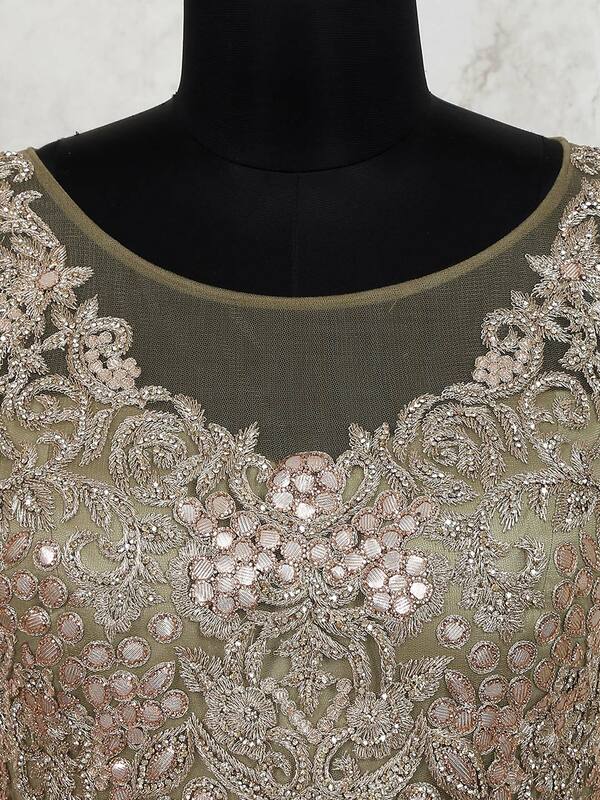 Decorated with attractive zari, gota and stone work through out the attire. 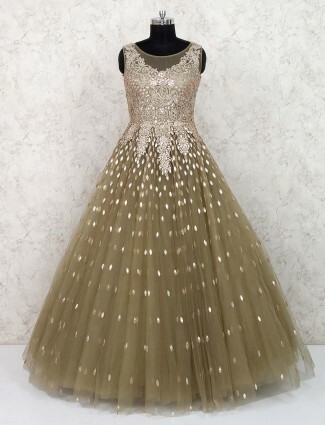 Ideal for party wear.